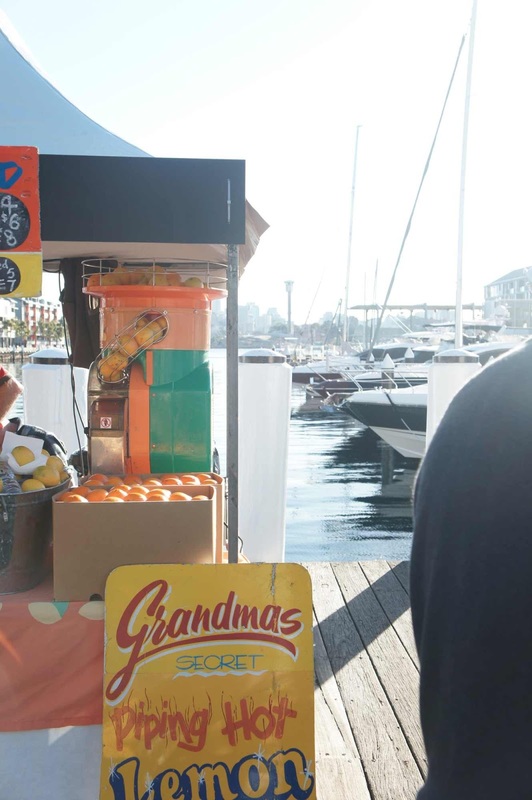 Sydney Shop Girl: Cult Produce At the Pyrmont Growers Market. It was a bit touch and go with all the rain during the week but didn't today scrub up rather well in Sydney? I suppose the only downside is that the ski season looks set for a slow start, I heard that the snow making machines have been on overtime as the resorts did their best to get ready for this weekend's official start of the season. For the rest of us stuck in the city, however, today was made for getting out and about. 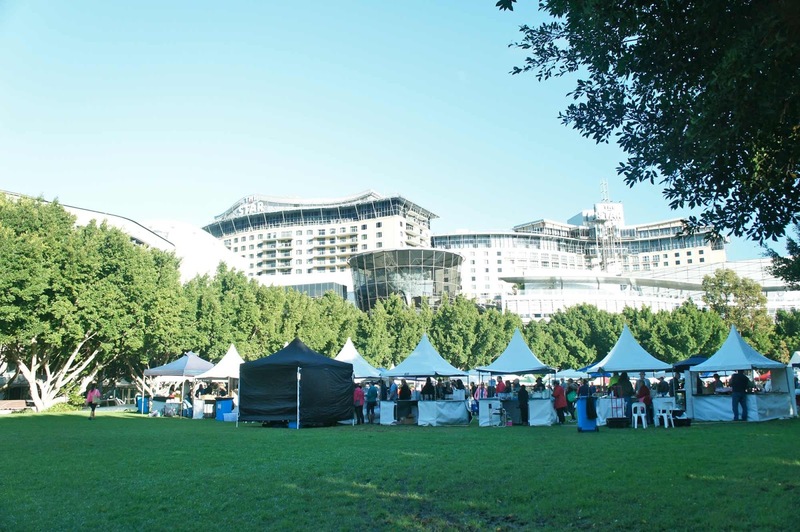 The planets aligned for me and I found myself at Darling Harbour around 7am this morning as I made my way to this month's Growers Market at Pyrmont Bay Park on Pirrama Road. 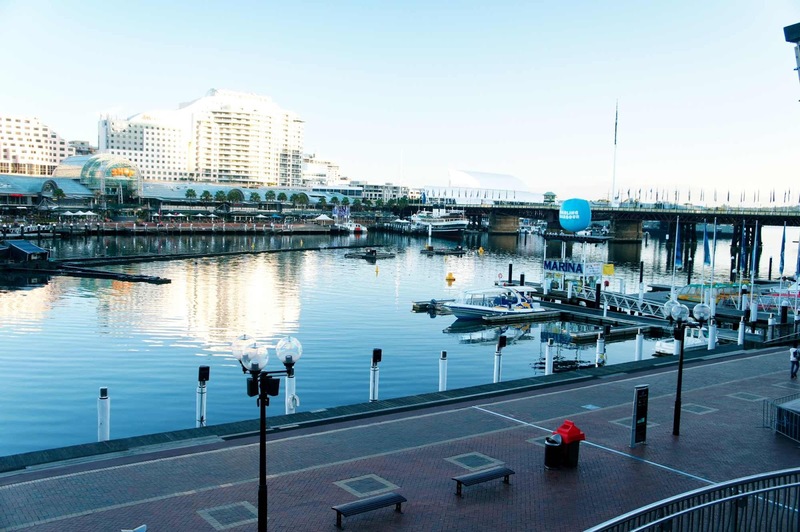 It was only a 10 minute walk from where the bus stops for Darling Harbour. The harbour has a different feel early in the morning. Joggers and keen tourists replace the after dark crowd. Rowdy conversations and raucous laughter make way for heavy breathing joggers and the clicking of bikes shifting gears. I upped the pace of my walk accordingly, though I might have been motivated more by the prospect of the breakfast awaiting me at the market. 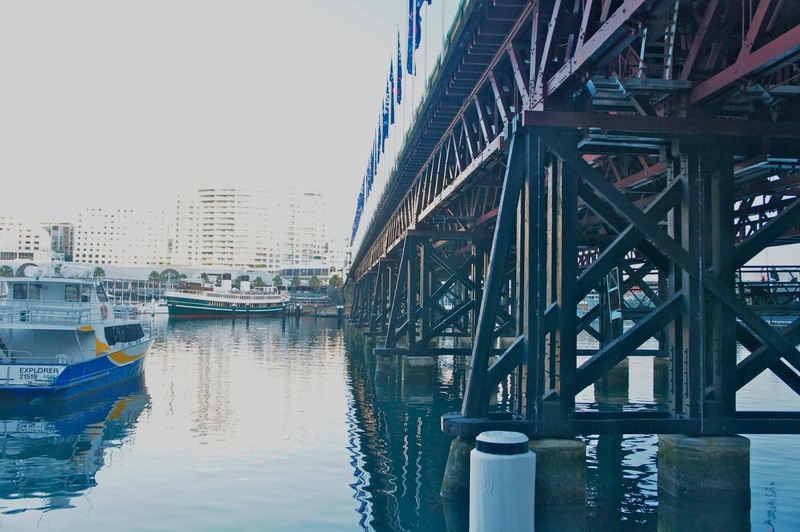 Before I knew it, I was over the bridge and down the road to Pyrmont Bay Park. Where I joined a mild mannered and chatty crowd in the line for coffee. There was a bit of drama and minor flooding when the stall holders had to release the rain that had accumulated in the roof of their stall from the downpour overnight. 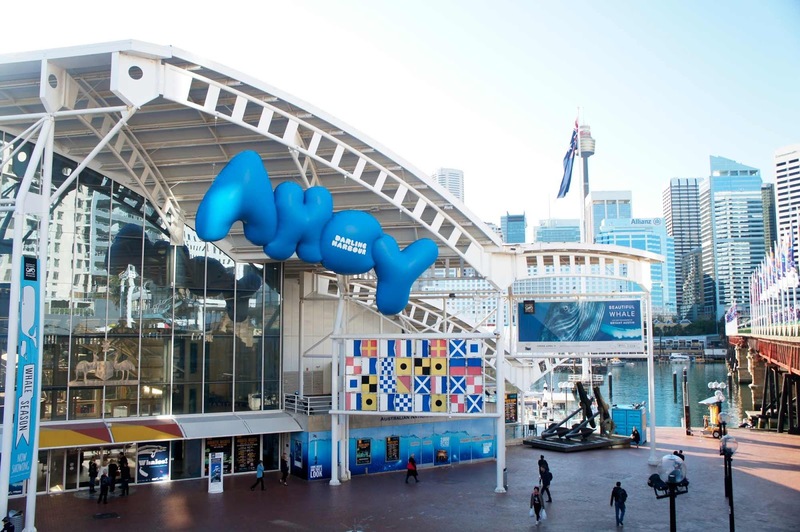 The wet decking added to the maritime motif of the boats anchored in the bay behind the market. As luck would have it, the stall next to the coffee people was Sonoma's and they were handing out samples of their cinnamon buns. Their generosity paid off with a fair few people from the coffee line ducking across to Sonoma to stock up. 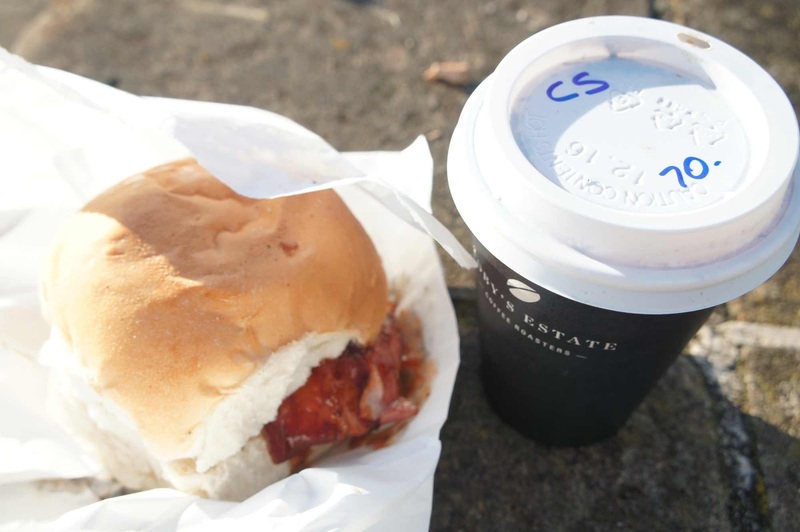 With my coffee in hand, I power walked to the bacon and egg roll line. It is obligatory to be dressed in some sort of fitness gear at the Pyrmont Market. 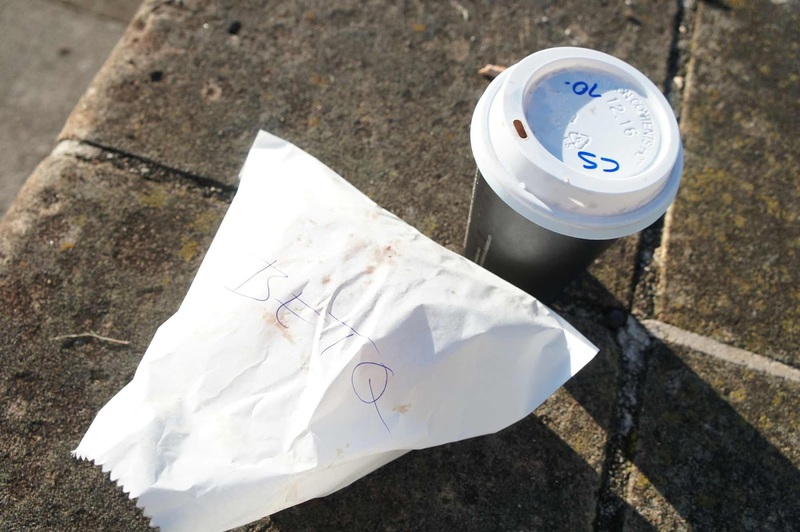 It's partly for function because on account of all the walking you do to and form the market but stretchy pants also come in handy for accommodating the massive breakfast you can't help but treat yourself to as you make your rounds of the growers' stalls. Sturdy walking shoes are also a must, especially when there's been rain because the grass gets muddy and soggy. I made friends with a little girl who had the right idea. She had sensibly paired her pink tutu and ballet tights with a pair of bright green wellies and thus dressed had a lovely time as her parents did their shopping. The bacon and egg roll people had their routine down pat. One person took our orders and wrote the details on lunch bags which we then gave to the person assembling the rolls. 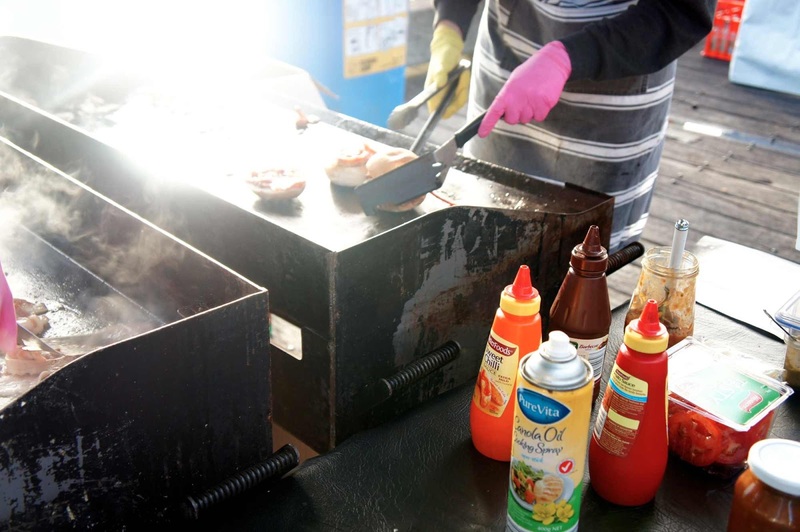 Before we got to her, though, we queued up next to the third person in the assembly line, the official bacon and sausage frier upperer. At regular intervals, he'd spatula across his work to the lady with the rolls, sauce and eggs. In almost no time at all, I left with my BETBQ (bacon and egg with tomato and barbecue sauces - $6). 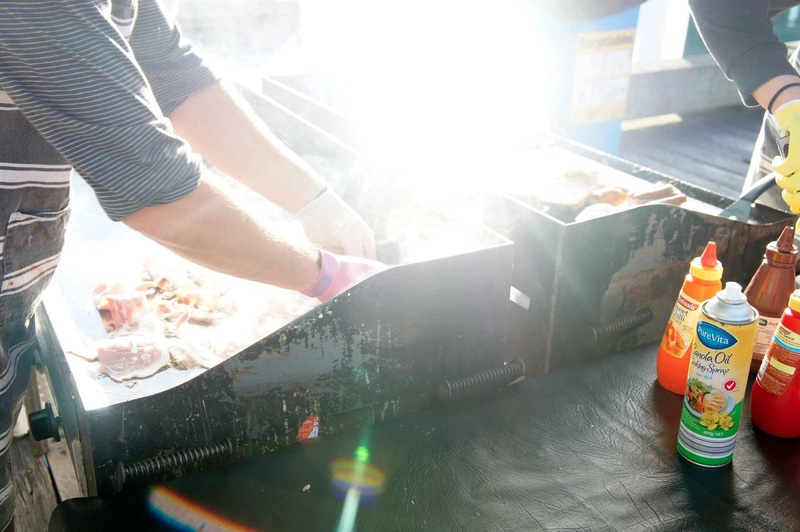 Sitting by the water with the sun shining on your face makes everything taste delicious. It's also one of those lazy Saturday luxuries to have had your breakfast made right in front of you in a rather idyllic corner of Sydney. 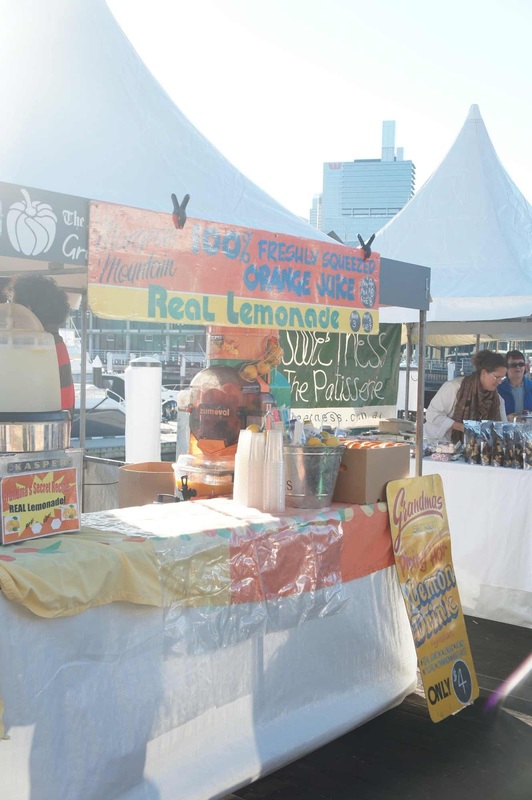 Next into my tummy was a cup of freshly squeezed orange juice ($4). Seeing as this is a produce market that only gets held once a month, it would be such a waste if I didn't leave with some produce to take home with me. 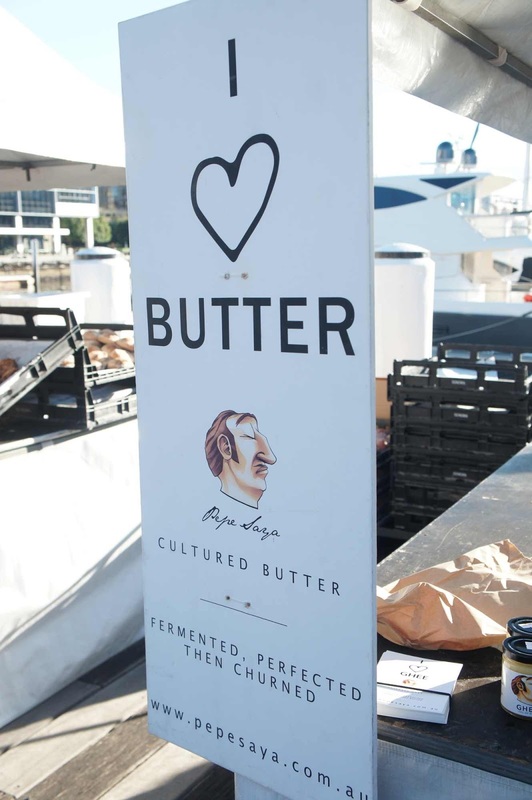 How could I resist Pepe Saya's cultured butter? Especially when it was being sampled with such abandon. Teaspoon fulls of it lazing against more modestly sized pieces of bread. The salted version is heaven on its own. I don't think I've ever felt that way about any other kind of butter. 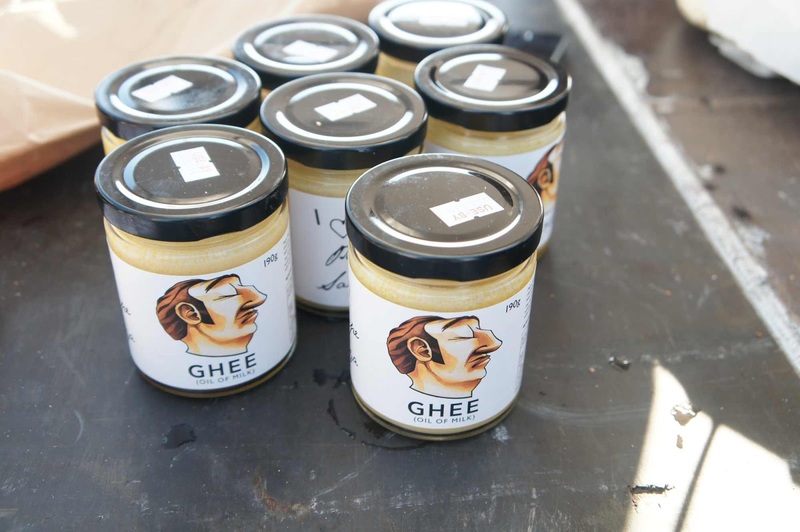 Other products in the Pepe Saya range include ghee, creme fraiche, buttermilk and mascarone. 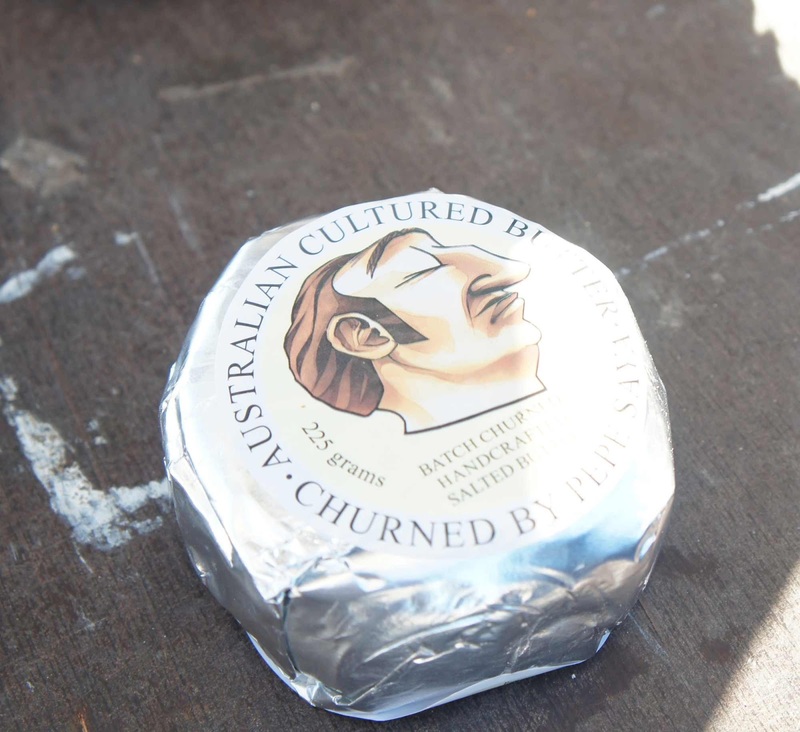 The cream for Pepe Saya products are single origin from either Allansford in Victoria or Picton or the Hunter Valley in New South Wales. A 225g pat of salted butter ($8) made its way home with me in my trusty backpack. It was a morning of cult product shopping because the next stall I stopped at was Flour and Stone's - the legendary bakers of Woolloomooloo. 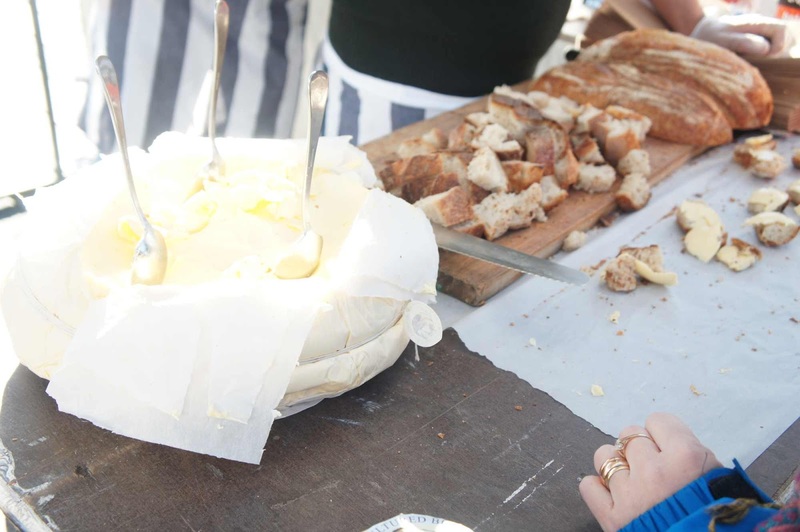 Flour and Stone is Nadine Ingram's (of Le Gavroche, MG Garage, Bourke Street Bakery and The Ivy in London) bakery that she first opened in 2012. 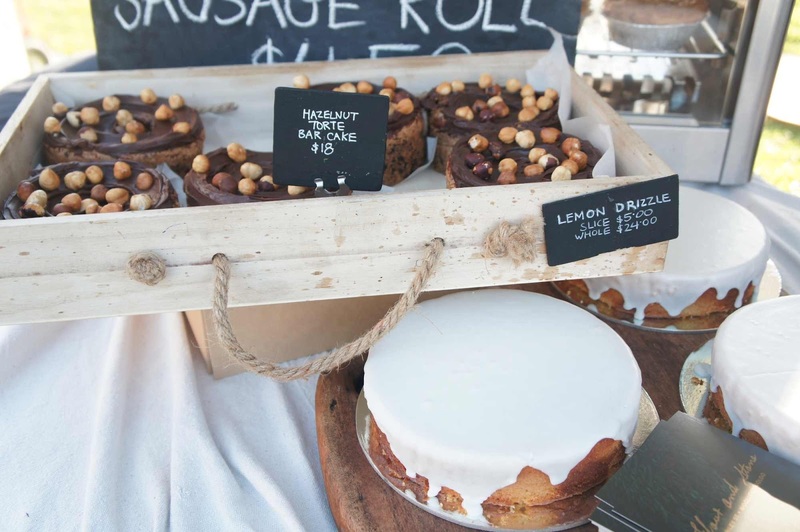 Nadine's baking is all about the homey and old fashioned. Her focus is on delivering simple and the authentic, sometimes with a twist. 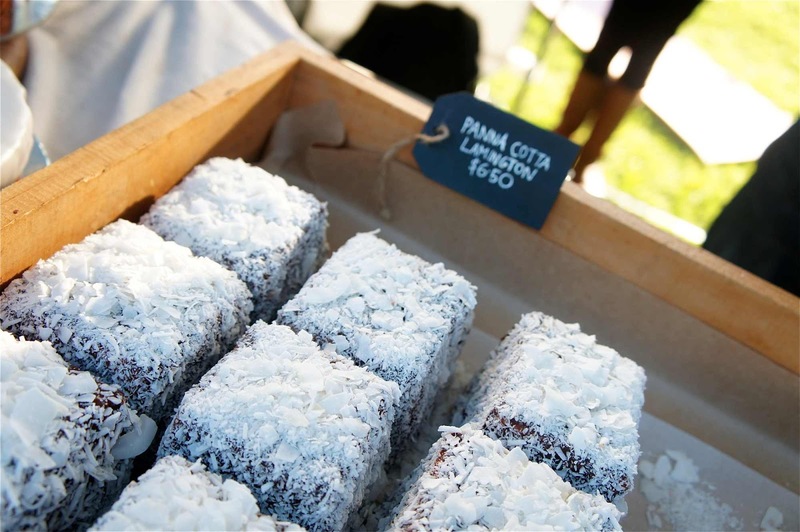 A case in point are her legendary panna cotta lamingtons ($6.50 each). Her lemon drizzle cake is another favourite, a taste of home and the baking of one's grandparents. 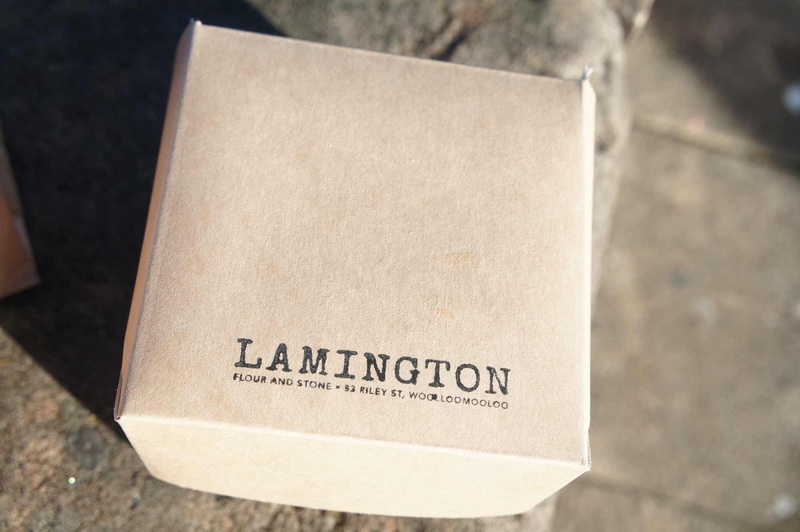 In the end, the lamington won and I took mine home in its own special box. Here's a photograph I took of it before the trek home. Just in case it got smushed along the way. From a produce market to the maritime history of Sydney in the space of a pleasant 10 minute walk. Don't you love that about Sydney? 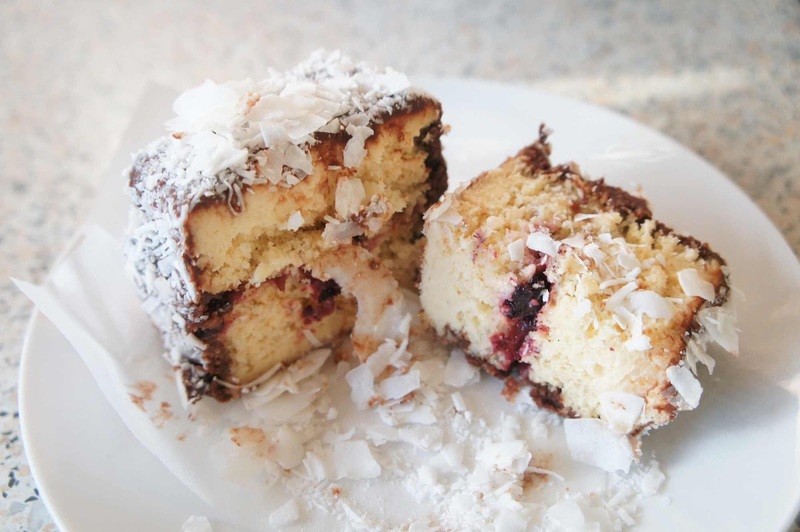 But the lamington, I hear you ask. What about the lamington? In the words of Sinead O'Connor, "Nothing Compares 2 U". I may never eat another lamington again. These are the bomb. The chocolate icing actually tastes of chocolate, the combination of flaked and dessicated coconut adds a lovely texture to the icing. The cake itself is dense and moist thanks to its soaking in panna cotta. Nothing is too sweet and the final touch of raspberry compote rather than jam brings it home. I think I'll be going back to market every month until I've tried everything else at Stone and Flour at least once. You must come to visit soon, Lisa! I shall be your tour guide! The trip is looking spectacular from here, by the way! 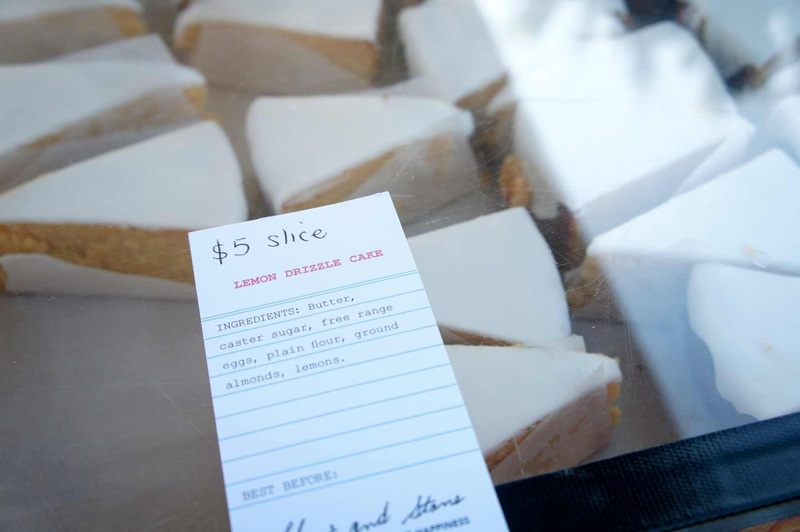 I ate those Lamington's at Megan Morton's The School and it was like ambrosia. I can't stop thinking about them. Sigh. Me too. 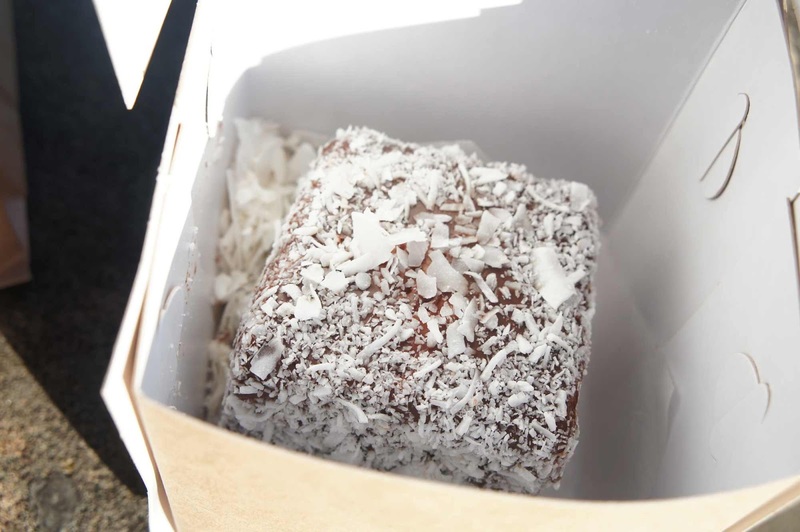 Woolloomooloo isn't all that far from home... perhaps I could drop in next weekend for another lamington fix? You are going to need to start to put warnings at the start of these posts. Good food ahead. I love it! Will do. OMG! 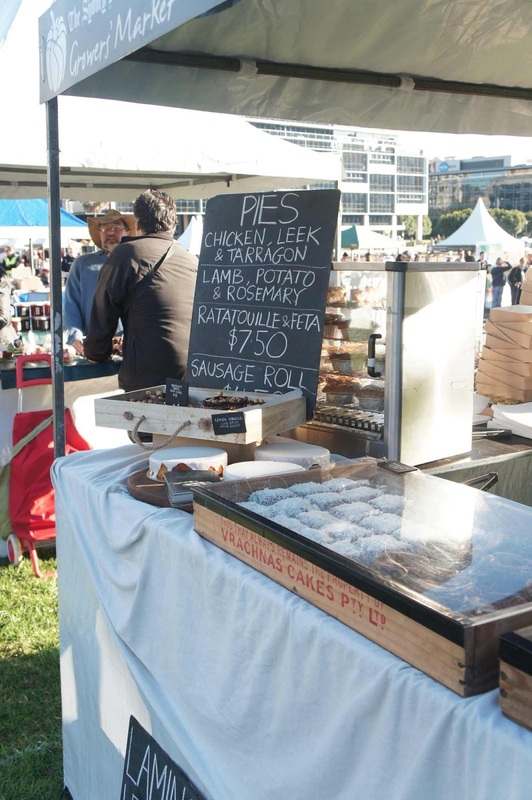 Flour & Stone, Pepe Saya... dies... I really need to get onto these lamingtons.